It’s one of the great dilemmas facing many young chefs during their careers. To work in a free standing restaurant or move into one of the big 5 star hotels? There are numbers of positives and negatives that come with both careers. I think that both sides should be experienced to develop yourself as a complete chef vs just being a really good cook. Preferably beginning your career at high level free standing restaurants to earn your salt while building solid technique, then hotels years later to understand true hospitality and managing people. There is very little chance that any of the big 5 stars hotels will be going bust anytime soon, restaurants on the other hand open and disappear overnight. Without a doubt there is more job security when working for a big 5 star hotel provided your good at what you do. The big fives do their research, they employ incredibly intelligent people to double check the research. Every move has been calculated and analyzed, there is no emotional last moment decision making. Restaurants can be owned, bought and setup by all types of characters that don’t necessarily know anything about the hospitality industry, but always liked the idea of “having their own little place”. Restaurants must earn their reputations with blood, sweat and tears, 5 star hotels already have brand recognition and loyalty that adds to their staying power. You can become famous in restaurants but in a hotel you will build your career. There should only one reason for anyone to visit a restaurant, right? The restaurant should be selected simply by the food, by what they have heard or read or because you love a style of cuisine or restaurant concept. You don’t visit restaurants for strenuous business meetings, presentations, weddings or to get a room for the night. You go to a restaurant with clear intentions to eat, drink and enjoy yourself. This generally means guests who frequent quality restaurants vs good hotels made a conscious decision that they want to be in your restaurant, for the food. Hotels on the other hand find themselves having to “feed” guests who are in the hotel, but not particularly there for food. These type of guests actually have no interest in what the kitchen or concept is all about, but they need to eat all the same. Unfortunately I have worked with chefs that can barley cook, with no interest or passion for food but are employed because “they are great with the guests”. Introverted, wild personalities are generally frowned upon as hotels have that pubic image issue again. In restaurants many chefs won’t even talk with guests or walk the tables every evening. It’s all about the food, not the guests and the guests have come for the food, not for recognition or a chat. All that being said I believe both can learn form each other, hotels should let their chefs be chefs and restaurant chefs should take a little time to meet and empathize with more of their guests. In hotels you have managers for managers and then another manager for the manager of the managers. Basically original ideas are only permitted once everyone has looked at it, commented on it, adjusted it and passed it on. Usually once the idea has fought though the complicated approval process it emerges disfigured and sterilized, a flatter version of its former-self, no longer original. In Restaurants there is usually only one opinion that matters when it comes to food, the chefs. I mean it’s the reason why he is there, why he works split shifts like a vampire, why he always looks tired and is covered in scars & burns. Owners and restaurant managers may have comments and opinions but these are treated more as “suggestions” rather than law. There is more trust in individual ideas inside restaurants, which is the reason why nearly all the forward thinking comes through restaurants first and is later picked up by hotels. Free standing restaurants are also more cut-throat and less understanding than hotel management, the chefs usually only know how to run & manage the kitchen vs managing people and the kitchen. The top heavy management structure is important for hotels as there is so many moving parts. Not only one restaurant serving a la carte but multiple restaurants, multiple cuisine styles, event spaces, bars, in room dining and outside catering. 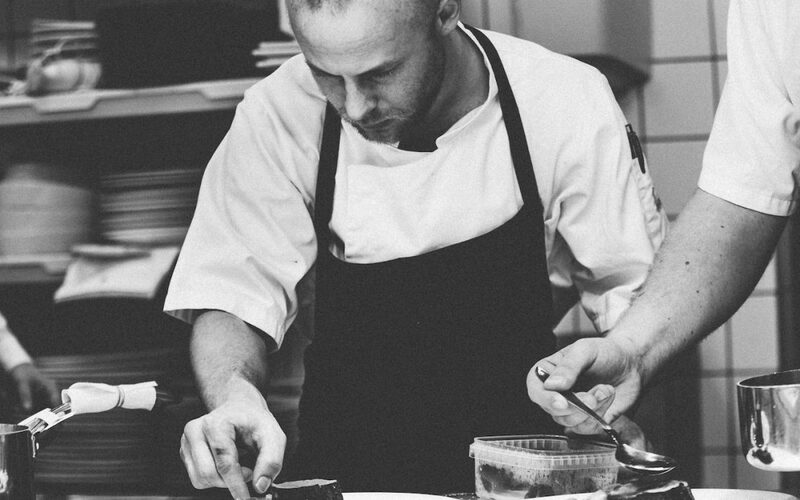 In Hotels the top heavy management is also a blessing in disguise, as it gives chefs an insight into management that cant be experience in singular restaurants. It’s also a perfect opportunity to see hospitality politics in full swing. Once you have worked for a few years in five star hotel and return to freestanding restaurants your management skills should be a level 1000. All the rest becomes easy and now you can really just focus on making great food. I have worked in Hotels where after years with the company I didn’t know many of my associates names, others I saw everyday but had no idea what they were actually doing here. You are a team but only in the sense of the word, direct contact is fairly limited and you definitely don’t operate as a family unit. In restaurants its the opposite, you learn more about each other than you would actually like. Hotels must employ people to fill positions as they have huge operations and no choice. Hotels act “selective” when employing new associates but usually take what they can get. A lot of time and money is spent on training unskilled candidates after the fact. 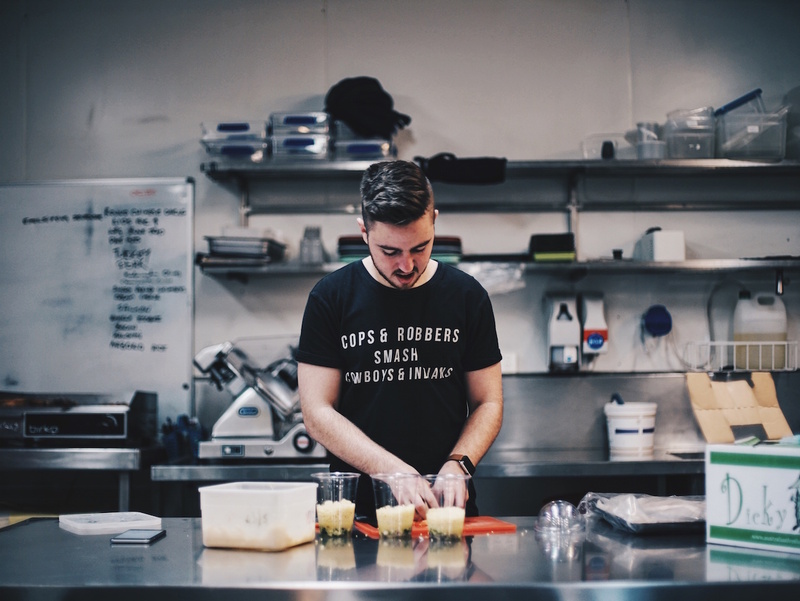 Restaurants are small, dynamic teams that need the right individuals to function, there are few positions and the skill level is usually very high as there is little structured training in place. The flip side is that hotels have large Human Recourse departments that dedicate time and money to extra curriculum activities and detailed training programs. Also some chefs enjoy the large scale operations and the opportunity to meet so many new people at work. Creativity is craved and feared by hotels. They want something new and amazing but are also extremely self conscious about their public image. It needs to be just the right amount of “crazy” that is easily rolled out to the masses and can be simply explained to the managers of the managers. Also remember, hotels need comfort and creativity, guests have certain expectations when staying at five star hotels and comfort is luxury, not creativity. Restaurants are like the guinea pigs for hotels, they don’t mind learning from mistakes and even inviting guests along for the ride. Original ideas are organic and happen naturally as part of the daily process, it’s impossible to plan or orchestrate creativity. You can watch a dish develop and grow on a restaurant menu, in a hotel it will have to be tasted, tested, recorded and photographed before being eaten by any guest. Also let’s face it the Hotel structure itself is not a very creative environment for chefs, too much structure, too many other departments, too many egos, too sterile and very restrictive. But if you can find the balance, stroke all the egos and have a little time for creativity your money, reach and recourses will be far greater in the hotel industry. Otherwise you sit back and see what the restaurants guys will come up with next. Great article Chef.Some big thoughts in those pans.Thanx for sharing.Keep up!Regards. Thanks Peter, are in restaurants or hotels? Thanks Dwayne, appreciate your comments. Hotels teach you to manage & control free standing restaurants are where you earn your salt. What are the three most basic positives and negatives that comes with working in a restaurant and in a 5-star hotel? The is nothing wrong with beginning your career in a Large hotel, but I still believe its crucial to work is some top restaurants – its such a different feeling and experience without so much security or structure but a lot more creativity and unique personalities. I still believe most original thinking comes through restaurants first and is later picked up by hotels. But hotels also have their benefits from a management and people skills perspective + you have a lot more money to work with. There is so much to learn and not enough time so just spend your time wisely.